COP KILLS WIFE, BROTHER N LAW AND SELF! 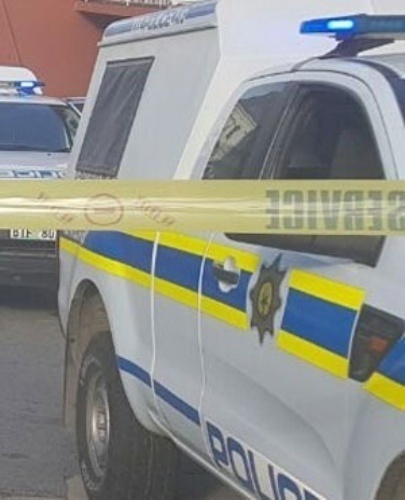 A COP allegedly shot and killed his wife and brother-in-law before killing himself on Wednesday evening. The incident unfolded at Nompumelelo squatter camp, Beacon Bay in East London. A neighbour, Anela Gomba (27) said the cop went to the nearest spaza shop to buy cigarettes. Anela said they went to the same church as the couple. “They were very nice to the people. I do not know what led to this, but on Tuesday night I heard them arguing. “I am not sure what the cause of their argument was. I am still very shocked,” she said. Police spokeswoman Warrant Officer Hazel Mqala said: “Constable Sivuyile Mbaduli (37) arrived at his home at about 5.30pm. “He went to the backyard shack where his wife was. He allegedly shot her. His brother-in-law, Siyabulela Cweba (44), heard gunshots and went to investigate. Mqala said Constable Mbaduli was stationed at Kidds Beach cop shop. “At this stage, preliminary investigations strongly suggest that this is aa murder-suicide. Two counts of murder and inquest are being investigated. “The couple leaves behind four kids aged seven, nine, 12 and 15. The brother-in-law leaves two kids, who are two and 10 years old,” she said.